The Acorn Hotel offers boutique, 3-star accommodation situated between Glasgow City Centre and the West End. Located next to the picturesque Kelvingrove Park, this hotel has a bar, and is a 5-minute walk from the shops of Sauchiehall Street. Each stylish room comes equipped with tea and coffee making facilities, complementary WiFi, satellite television and GHD hair straighteners. The nearest airport is Glasgow Airport, 11.4 km from Acorn Hotel. Please inform Acorn Hotel in advance of your expected arrival time. You can use the Special Requests box when booking, or contact the property directly with the contact details provided in your confirmation. The hotel cannot accept check-ins any later than 22:00. Please note that this property cannot accommodate hen and stag parties. Parking is on street and parking vouchers are available from reception. A credit/debit card or cash must be presented at check-in (does not need to be the same card used to make the reservation). Please note we cannot take payment from a card prior to arrival without the card being present. In this event we can send an online invoice with a link to an online payment gateway so the reservation can be paid prior to arrival. Once booked, please contact the hotel for details. Please note groups of over 5 persons cannot be accommodated. The Argyll Guest House in Glasgow offers en-suite rooms with free Wi-Fi and both bed & breakfast, o just room only accommodation. Located on Sauchiehall Street, by Kelvingrove Museum and Art Gallery & Park in the West End. Scottish Exhibition and Conference Centre is only 10 minutes’ walk away. All rooms come with tea and coffee making facilities along with some biscuits. Each room is equipped with a TV set and an en-suite shower room with a hairdryer. 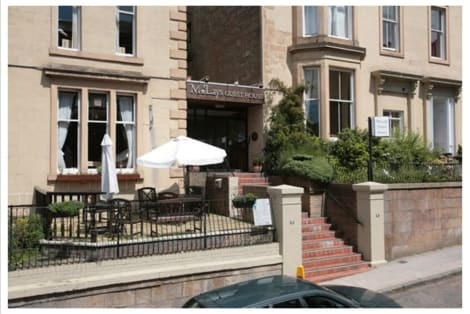 The guest house is located 3 minutes’ walk from Kelvingrove Art Gallery and Museum, five minutes from Glasgow University and ten minutes walk from the SECC Hydro. 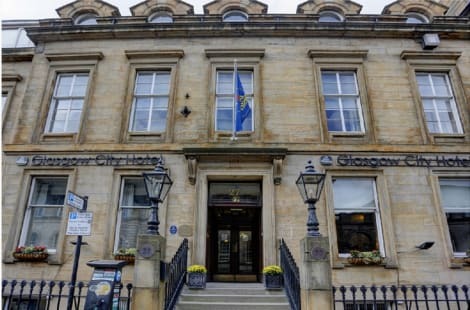 Situated in the business district and close to the main shopping district of Glasgow, this hotel is the perfect location, whether on business or for leisure, as there is so much in the surrounding area. There are shops, bars, nightclubs and restaurants to be found in the immediate vicinity. A short distance from the hotel is The Glasgow Museum & Art Gallery, The Kings Theatre, the Botanic Gardens, the Museum of Transport, and Glasgow Science Centre, Buchanan Galleries and Princes Square shopping centres. For sights and attractions a little further away, guests may use the underground located directly in front of the hotel and there is a bus stop 200 m away. Affording a charming location, this hotel was renovated in 2008 and consists of 278 rooms spread over 14 floors. Guests are welcomed in the inviting lobby with a reception desk open 24 hours, safes and 3 lifts. Special features of this hotel include a cosy bar and a restaurant, which is particularly inviting with its delicious cuisine. In addition, the hotel is ideal for business guests, since it has 3 conference rooms as well as Internet access and WLAN access. For guests arriving by car, there is car parking offered outside the hotel. The hotel provides spacious, clean, and stylish rooms. All are equipped with an en suite bathroom, shower gel, tea and coffee making facilities, a work desk area with Internet access, a good quality duvet and pillows, a TV with remote control, and individual heating. All rooms are non-smoking. Guest may select a full Scottish cooked or a continental breakfast with plenty of choice. In the evening, the hotel restaurant provides a great variety of delicious food from the a light snack to a three course meal. 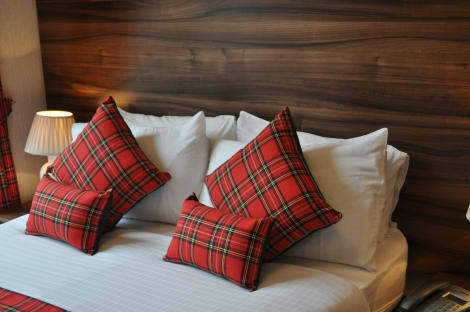 A city centre location, affordable rates and original 1800’s features characterise the Best Western Glasgow City Hotel. Next to Charing Cross station and walking distance to the monuments and prominent buildings of George Square and Central Station, this converted theatre school is within easy reach of multiple attractions. Head to the shops of Style Mile, or to over 20 nearby museums and art galleries. There’s free wi-fi throughout, 24-hour room service and family and triple rooms available.